J: Welcome to Dalian! 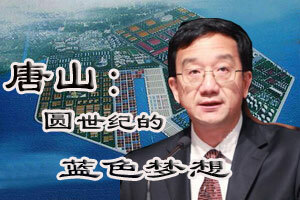 What is the goal for your port coming to Dalian this time? J: Thank you for your kind intention for Dalian. 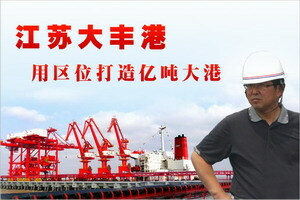 Referring to the customers, may I know who your port’s main Chinese customers are and how is the cooperation now? 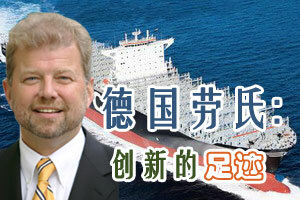 Mr. Andre G.F. Toet: COSCO is very important for us; China Shipping is important for us. And COSCO also has the participation in our port’s newly opened terminal Euromax, which had her opening on Sep. 5th. 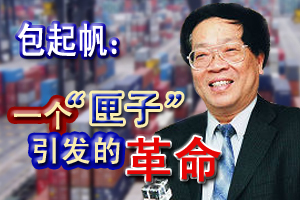 And Caption Wei was there as the city opening in Rotterdam since COSCO would use this terminal in the near future. And COSCO has a share holding in this terminal. 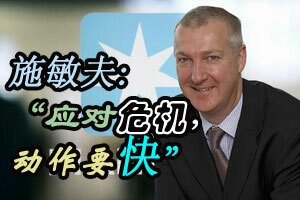 J: It is nice to see your port having nice cooperation with China. 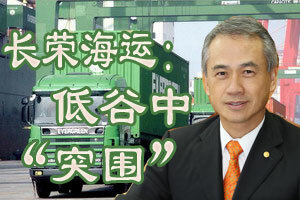 So what is the key point that your port could be evergreen in the shipping market? Mr. Andre G.F. Toet: It is due to our accessibility, the Open connection with the sea and deep waters. Due to the immediate location at and the open connection with the North Sea, Rotterdam is one of the most accessible ports in Europe. The terminals at the Maasvlakte can be reached within one or two hours from the pilot station. The port of Rotterdam is deep enough to accommodate the largest vessels in the world, such as mammoth tankers, ore carriers and container vessels. Off the coast, in the North Sea, the Eurogeul has been dug for this purpose. The Eurogeul has a depth of 23 meters and is 57 kilometers long. Maasvlakte 2 will shortly be accessible for the container ships of the future. With a depth of 20 metres, the port is accessible for container ships which are unable to berth in other European ports. 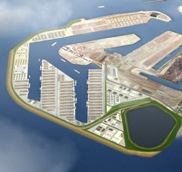 In the port itself, the Nieuwe Waterweg (New Waterway), the Calandkanaal and the Hartelkanaal have been dug. The Calandkanaal is suitable for the largest deep-draught ships and offers access to the Maasvlakte and the Europoort area. The Nieuwe Waterweg leads to the other port areas, which are located more inland. 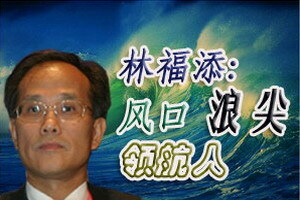 By dredging, the fairway, the river and the port basins are kept at the proper depth. This is done by order of the Port of Rotterdam Authority and Rijkswaterstaat (Department of Public Works). 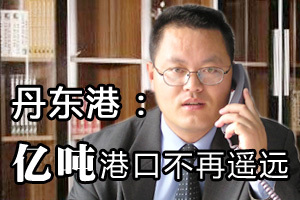 J: Could your port’s sectors meet the client’s demand? Mr. Andre G.F. Toet: We have the ability to satisfy any type, any volume and any requirement. The 'supply chain' is a sequence of activities necessary to get products from the factory to the consumer. The port of Rotterdam is one of the links in this chain. Characteristic of a main port such as Rotterdam is that all kinds of different cargo flows come together. In the port of Rotterdam, all imaginable types of goods are loaded, unloaded and distributed via different modes of transport. Specialized companies handle these various cargo flows. The port is equipped to handle chemicals, ores, liquid bulk, dry bulk, vehicles, general cargo, refrigerated cargo, food and containers simultaneously. Whenever possible, the companies are clustered; consequently, Rotterdam can be typified as a collection of specialized ports. The region offers a complete range of companies specializing in storage and transshipment, transport, industrial processing and auxiliary services. In Rotterdam there are also many business service providers such as banks, insurance companies and trading houses. The exceptional concentration of facilities, know-how and experience in this one single area gives the best possible guarantee for optimum service levels and customized solutions. 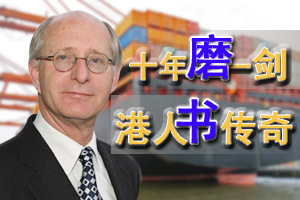 J: Is there any project carrying in Port of Rotterdam that will enhance the port ability? This, in turn, was the starting signal for this expansion of the port of Rotterdam. An historic day for our mainport. After 15 years of making plans, discussion and procedures, we are now making a start on this urgently needed port expansion. 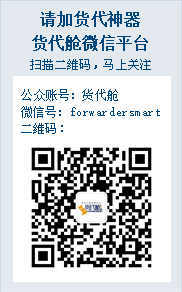 J: Thank you for sharing the profile of Port of Rotterdam by your presence for DIALOGUE.